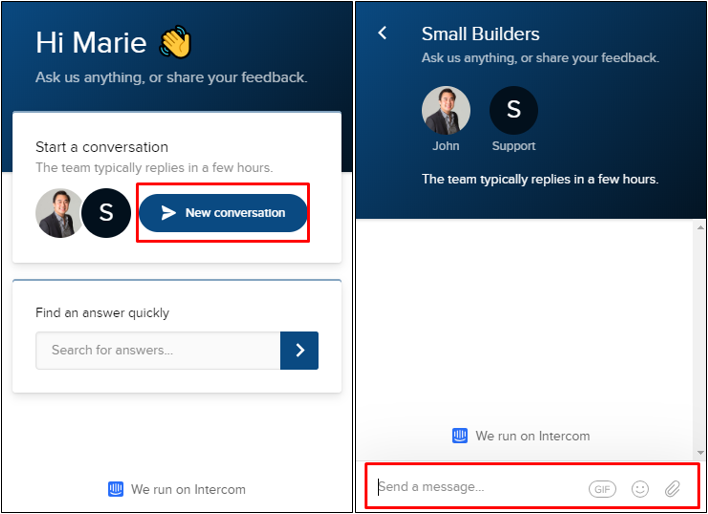 Small Builders has a messaging feature that is used to communicate to support. 1. Click on the Message button on the lower right corner of your portal. 2. Click on the search bar and start typing your inquiries. The system will try to find matches from Small Builders how-to website which is http://help.smallbuilders.com.au/ (Advice and answers from the Small Builders team) without leaving your project site. 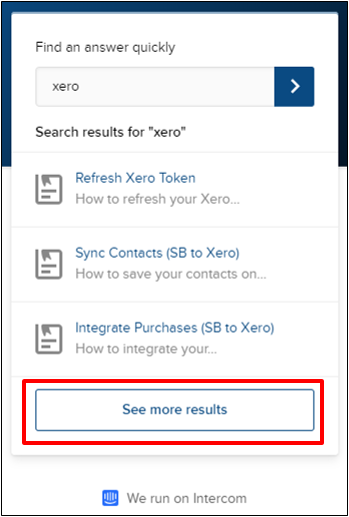 Intercom will automatically show the results. 3. Click on See more results button below. By doing so, the system will redirect you to http://help.smallbuilders.com.au/ showing more of the results of your search. You can further explore the help website for more how-to's and tutorials. 4. 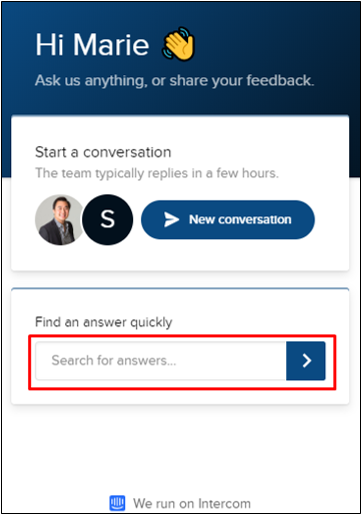 If you have specific questions or if you just want to share your feedback and insights about Small Builders, you can start a new conversation by clicking on the New conversation button. Text message – Send a simple text message containing your questions or feedback. GIFbutton – Allows you to send a GIF. This also has a search button for your convenience. Emoji button – Allows you to include an emoji in your text. Attachment button – Allows you to attach files to send to Small Builders team.